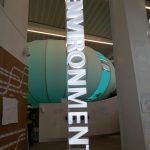 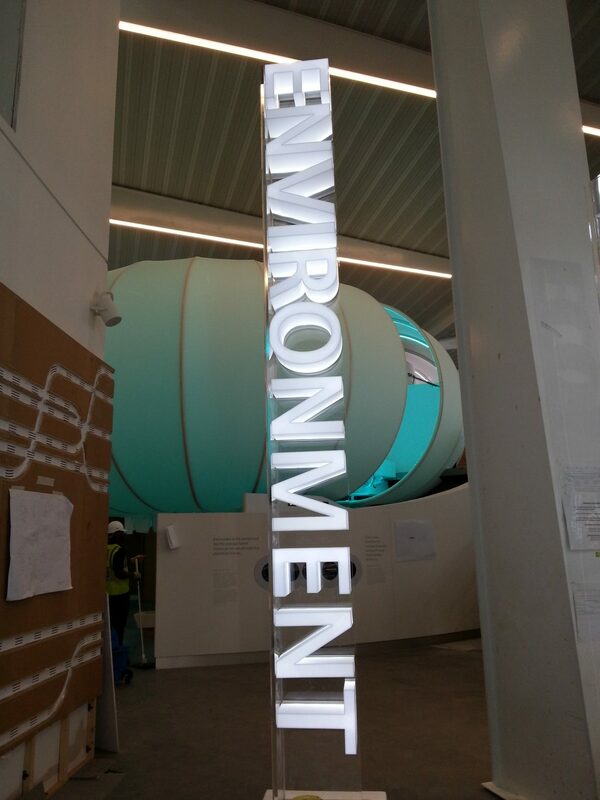 As part of a Siemens initiative to make us all more aware of the impact we have on the environment, the building designed by Wilkinson Eyre, is the only building in the world to achieve the highest certification in both the BREEAM and LEED schemes, as well as many other accreditations. 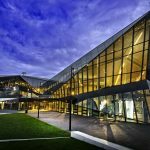 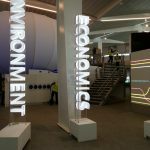 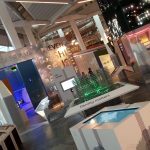 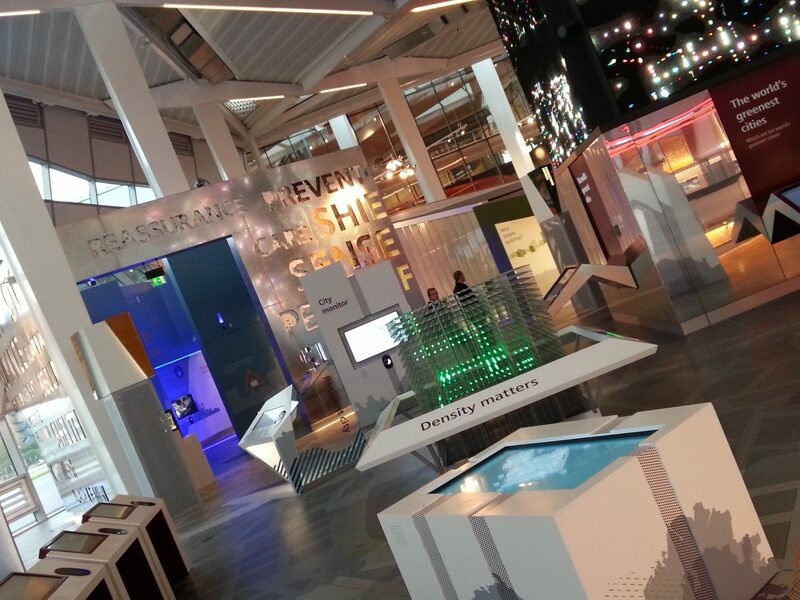 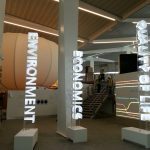 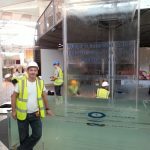 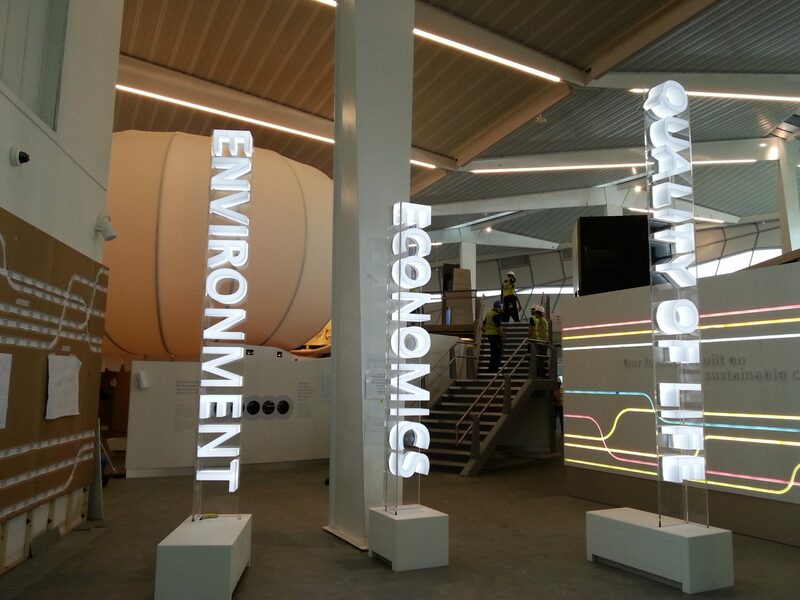 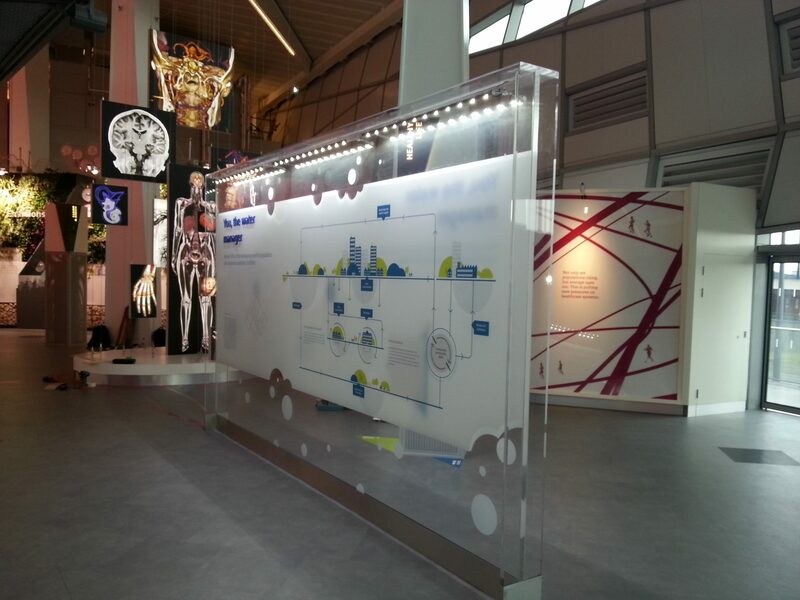 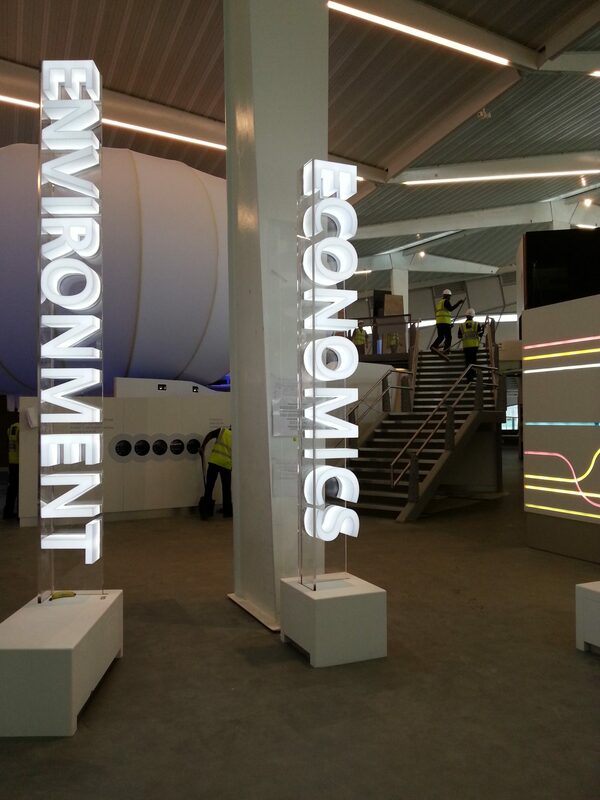 The Crystal in London is home to the world’s largest exhibition on the future of cities and we were called in to project manage all the acrylic fabrication feature work in this highly innovative building. 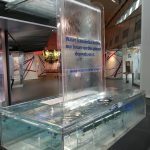 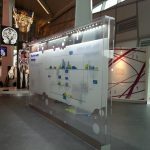 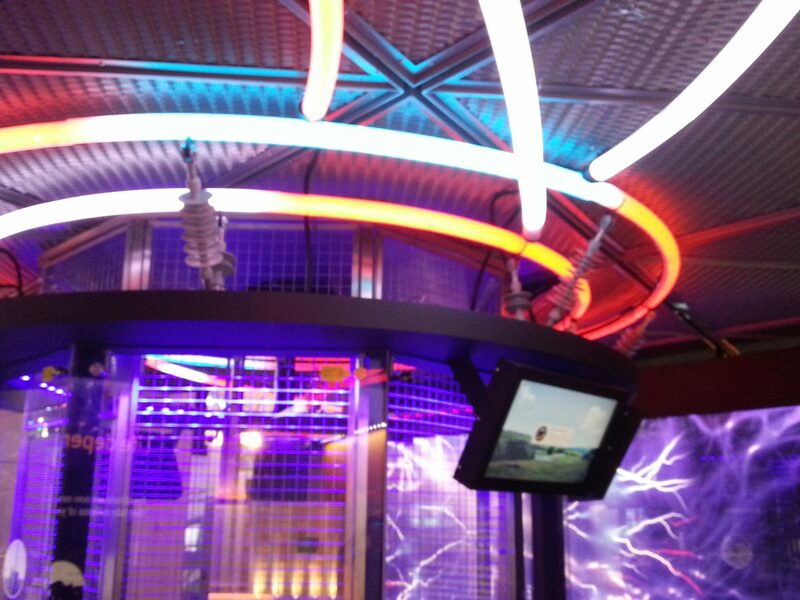 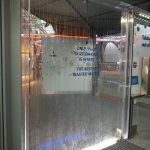 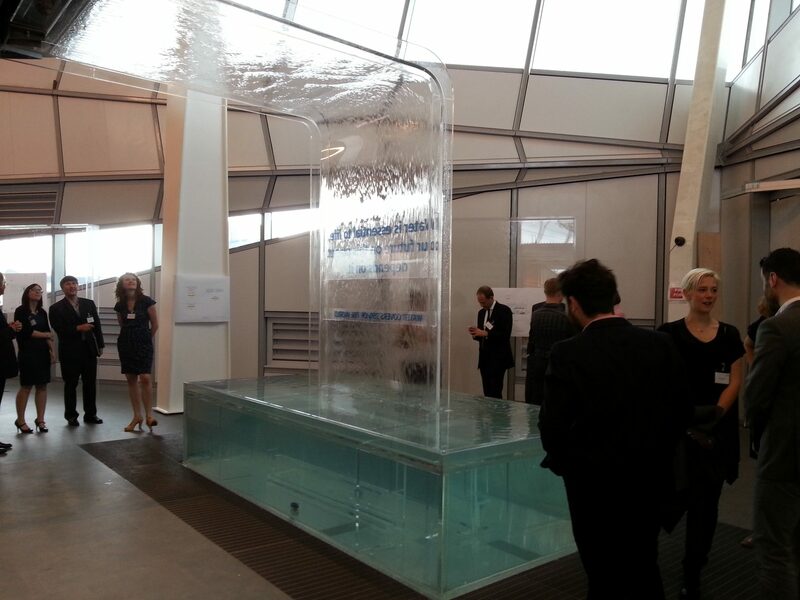 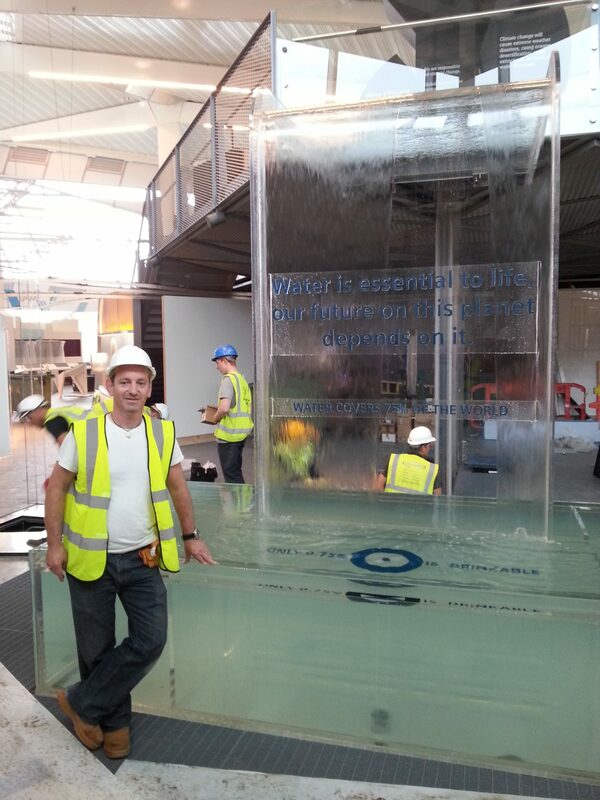 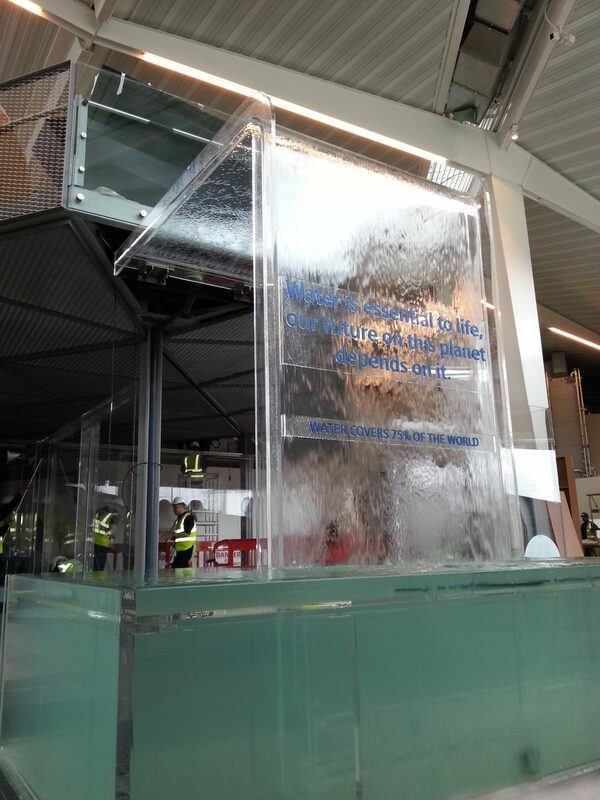 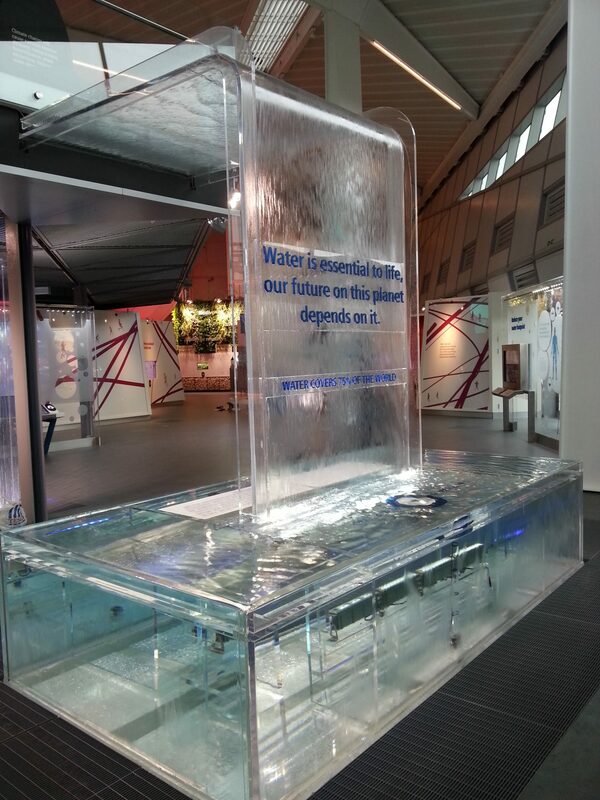 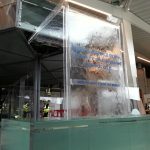 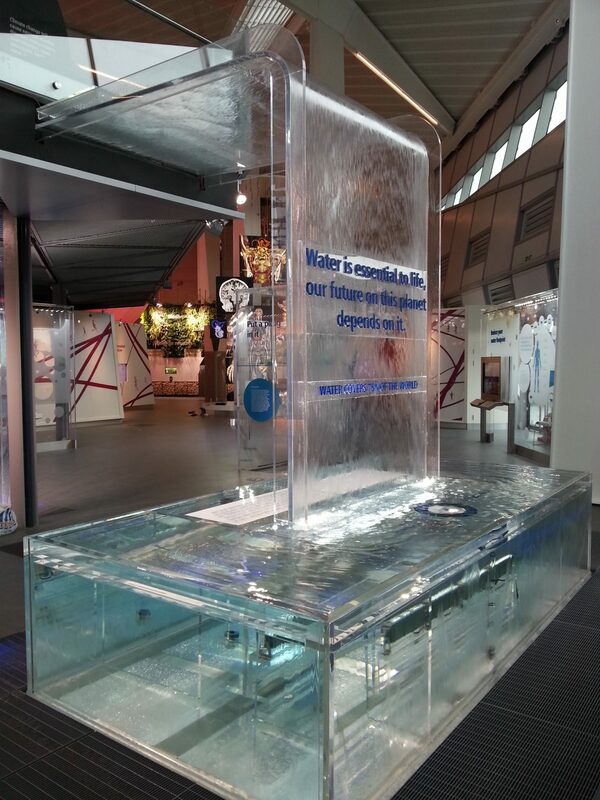 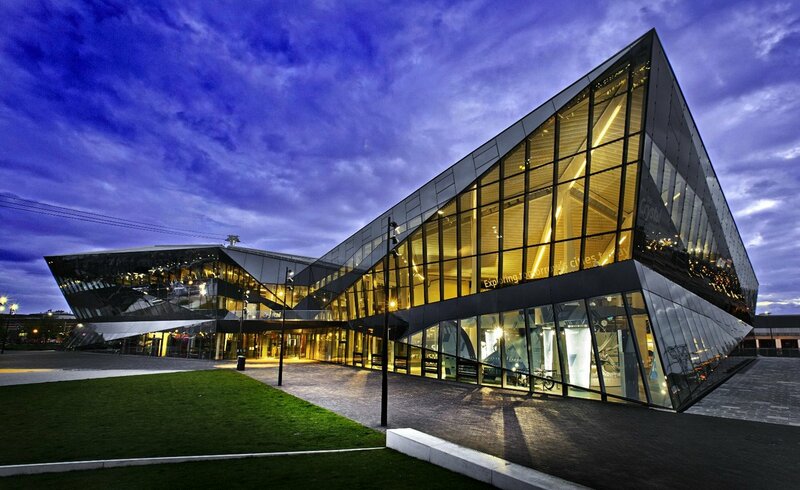 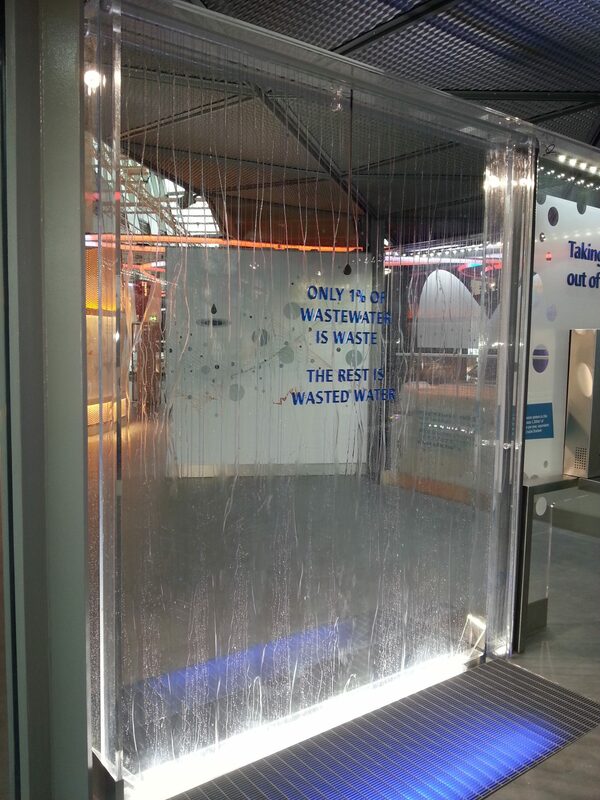 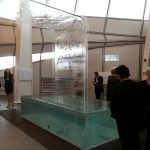 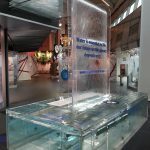 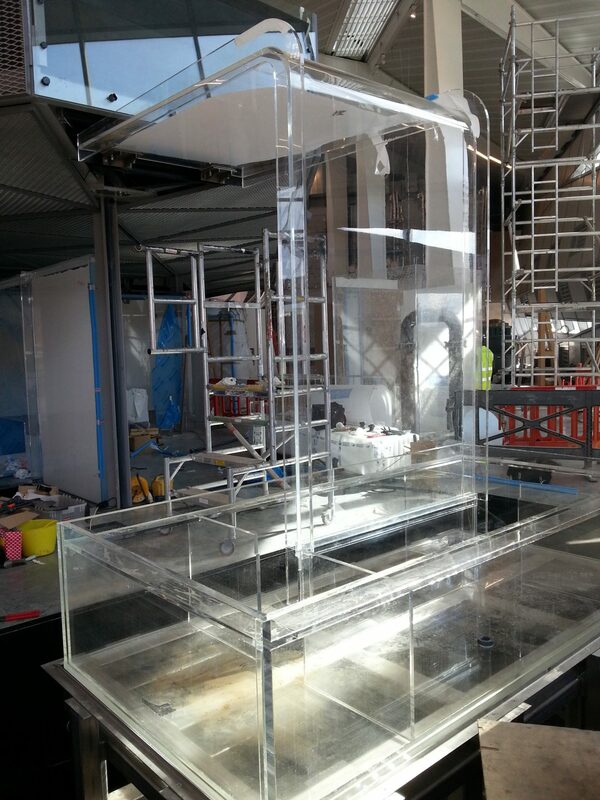 Our remit which included among other areas, was to construct a 3.6m long acrylic water tank to hold 6 tonnes of overflowing water, a 800kg cascading acrylic waterfall from the mezzanine level into the water tank, the suspended acrylic light flow tubes and all the acrylic exhibition walls. 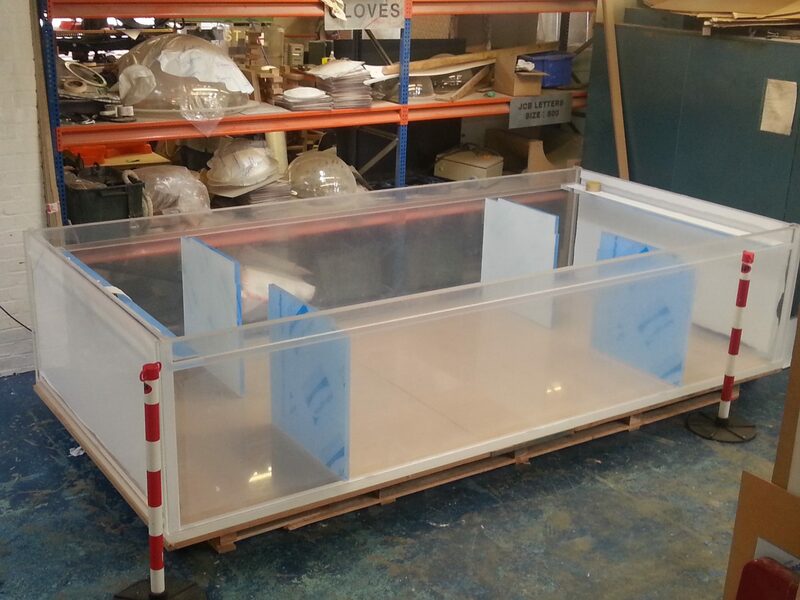 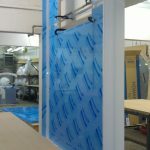 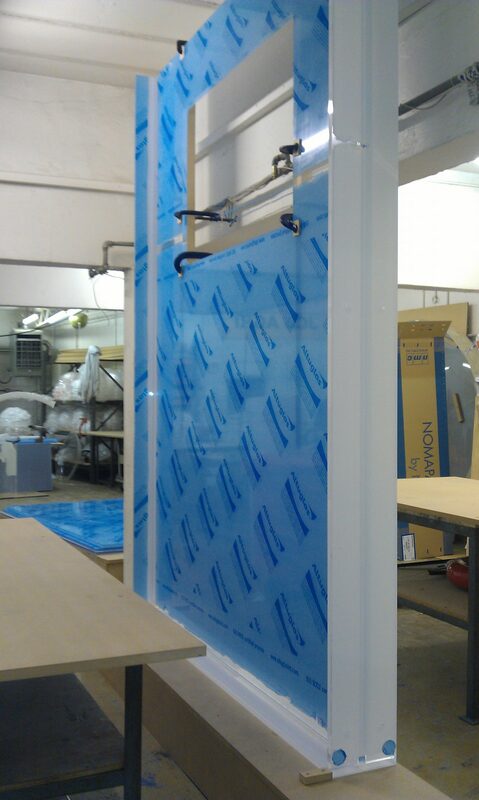 Some of the walls are over 4.5m long and needed to be constructed from single sheets of acrylic that we had specially made and shipped to us. 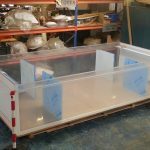 Some of the long sheets alone weighed 700 kgs and needed to be moved around our facility during the various stage of acrylic fabrication. 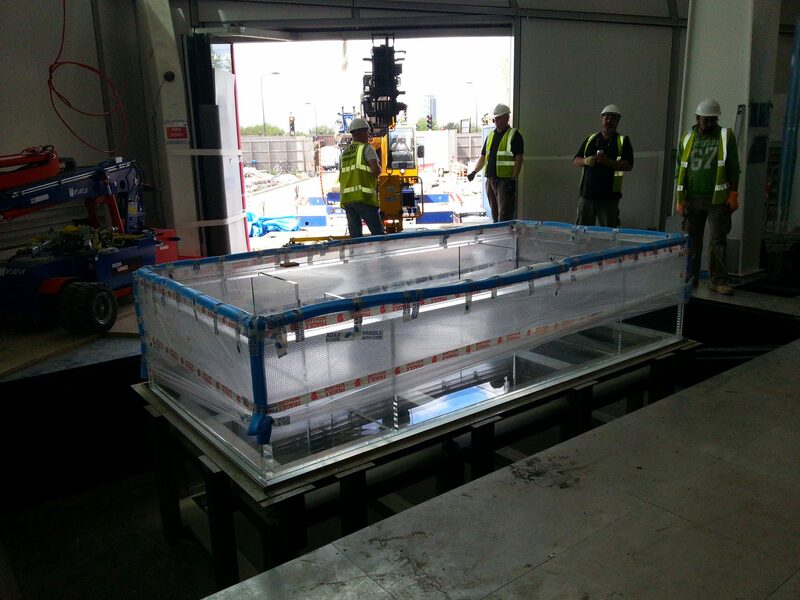 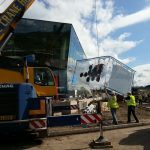 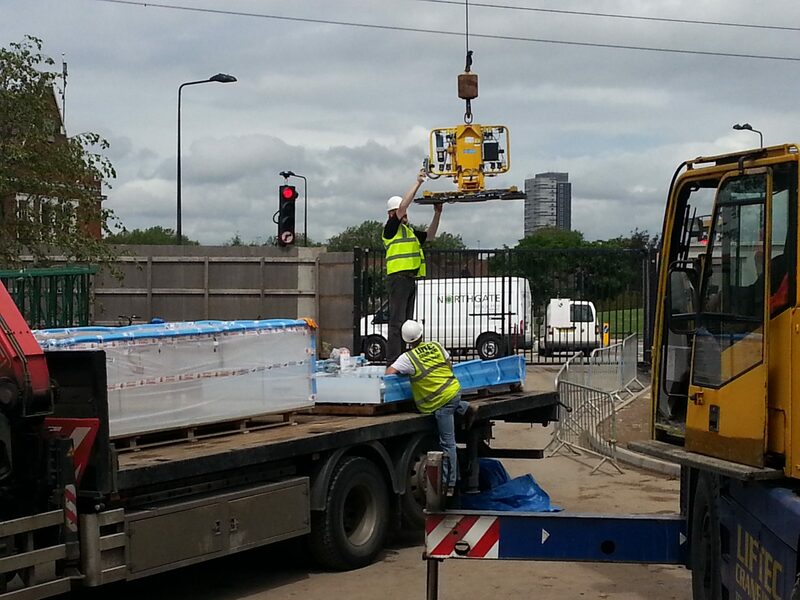 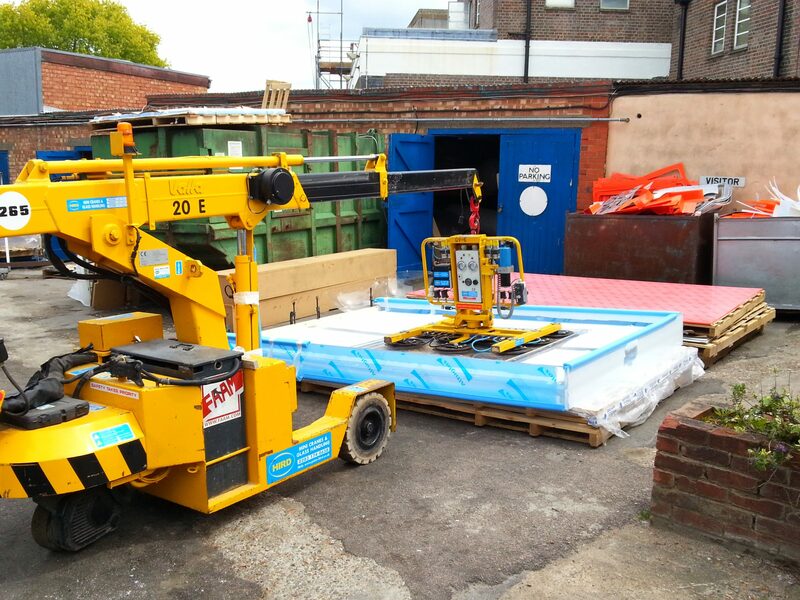 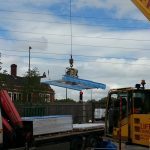 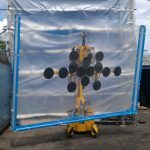 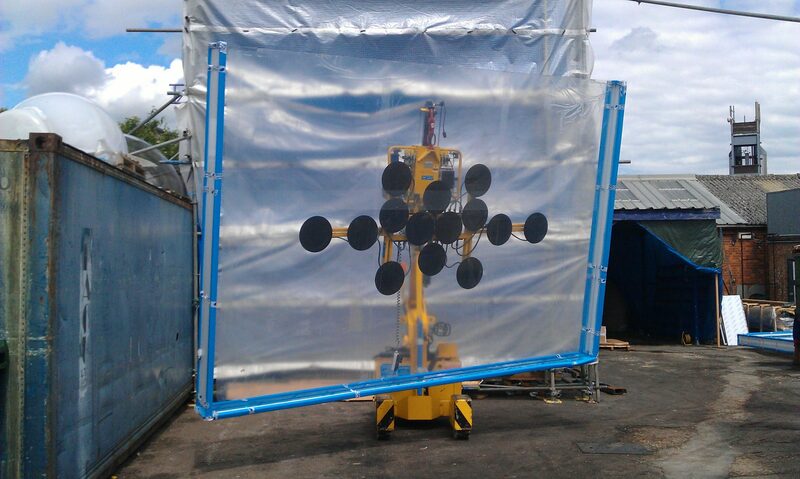 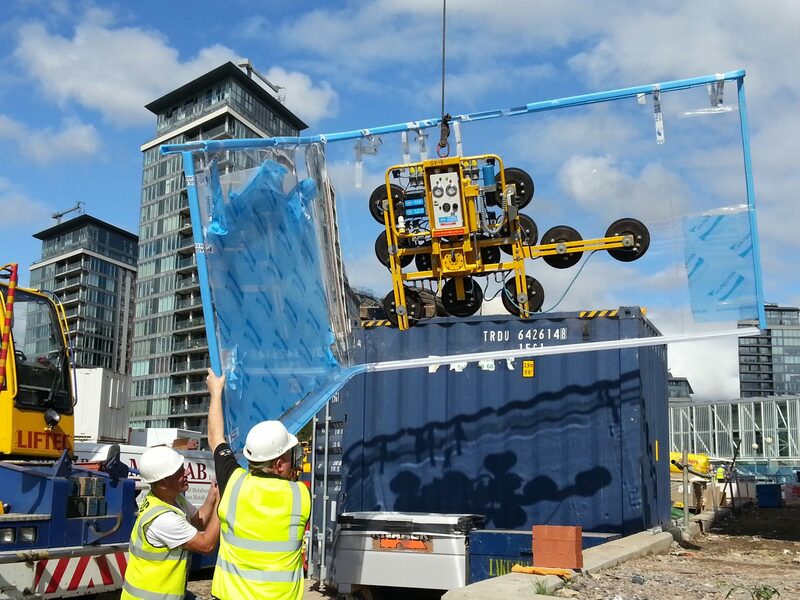 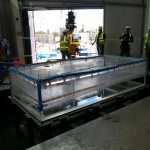 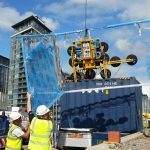 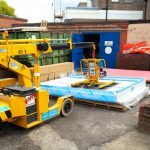 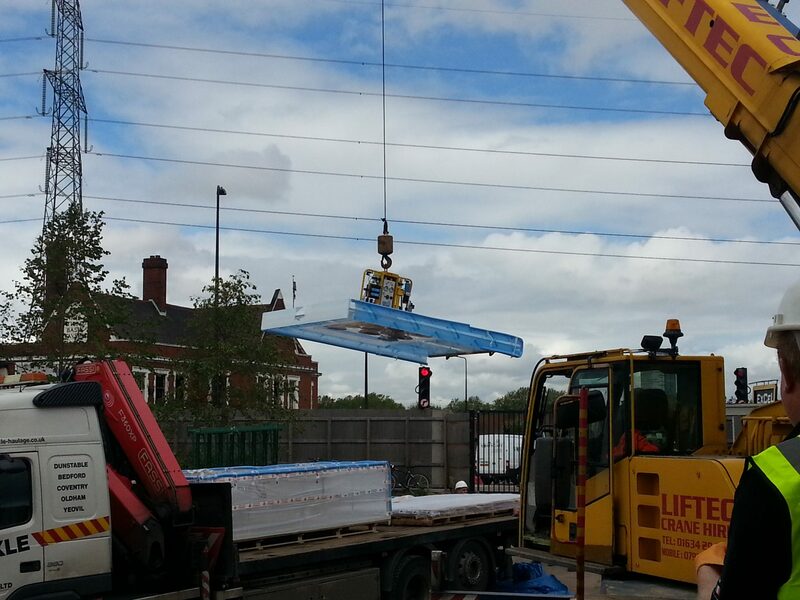 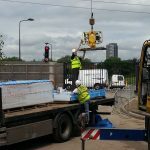 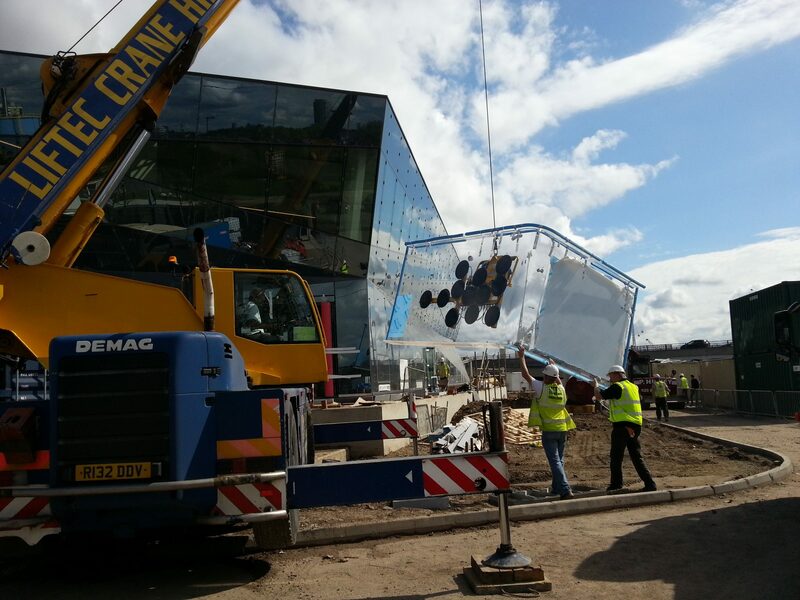 To assist, we used a specially designed glass suction lifting system which effortlessly lifted and rotated the sheets and held them at precisely the right angle while we cemented them. 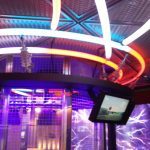 We worked with designers and construction managers Event Communications over a 4 month period to ensure that all the parts were ready at the right time to be installed as the work install program had to tie in with the construction of the building. 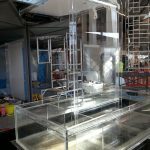 It was a highly enjoyable and challenging project and tested all our abilities as project managers and acrylic fabricators.